Office Automation Systems has been a Retele client for over 5 years. 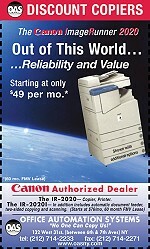 They are a Canon authorized dealer. When it comes down to it, the true "raison d'etre" of an advertising agency is the development of creative and effective advertising. 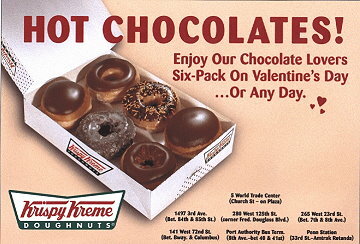 Here are just a few examples of magazine and newspaper ads we have created. We also do radio and TV commercials which we will be happy to play for you. The editorial-style ad for Hot line Couriers was targeted against business owners-- it speaks to the importance of having "Couriers You Can Count ON." 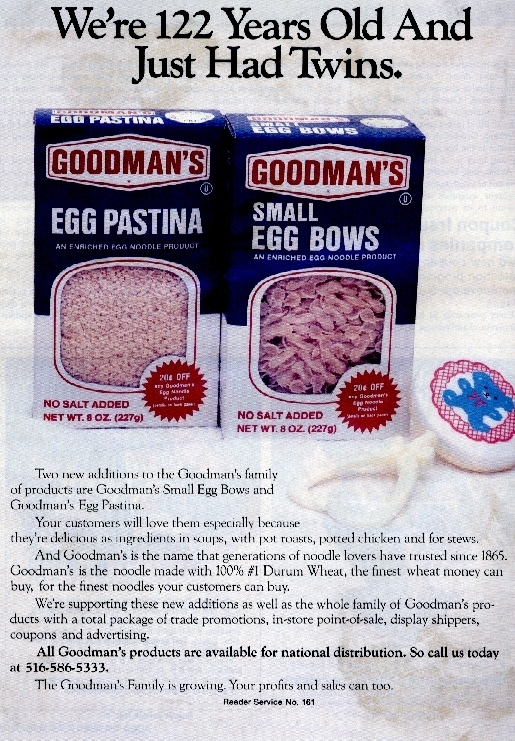 "We're 122 Years Old and Just Had Twins"
This trade ad for Goodman's Noodles was one of the first magazine ads we did. It was used to announce two new noodle items that were introduced together. This illustrated ad for Temporarily Yours centers on the agency's 24-hour-a-day, seven days a week capabilities. 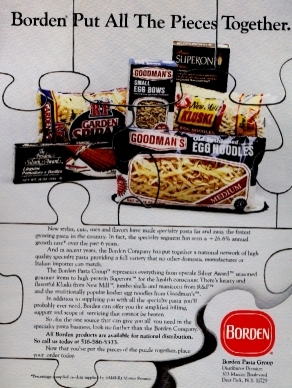 "Borden Put All the Pieces Together"
The above ad ran in trade magazines to show distributors the wide range of pasta products offered by the Borden pasta group. Just Bulbs a NYC retailer sells hundreds and hundreds of different light bulbs from energy efficient lighting products to designer bulbs to festive party lights. Their unique lights help make the holiday season extra special.